Ryde District Heritage Centre needs you! Any memories of Ryde and district welcome. 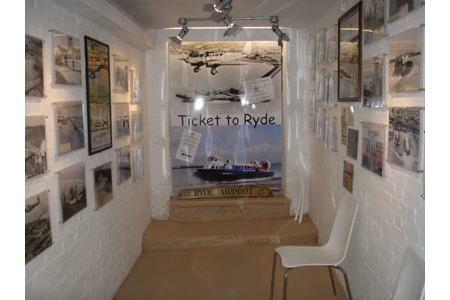 To create a permanent space for memories of Ryde. Many items of historic interest to the town are on display, and over 6500 searchable images. HRS is working closely with the Isle of Wight Heritage Service, who are monitoring humidity and light levels in the Centre, and we hope that levels will stabilise and allow items currently in storage to be loaned for future display. Several items have already been loaned to the Centre, such as the Ryde Pier turnstiles, and arcade porter's badge. 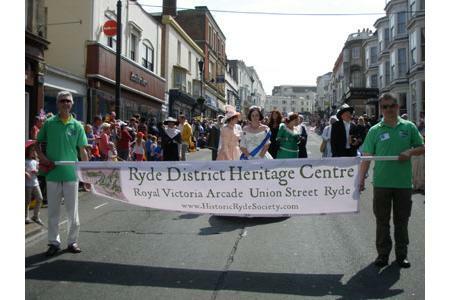 HRS has created and runs Ryde District Heritage Centre. It is open all year round and manned by volunteers. Many old friendships are being renewed, as people spread the word, and visit the centre. Over 6500 searchable images on screen evoke many memories, and artefacts are being brought into the Centre on a daily basis. Local youth and community groups have visited the Centre, and presentations have been taken out into the community. 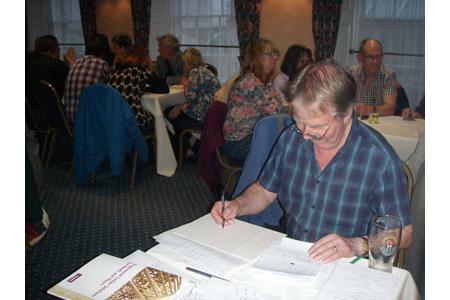 Memory sessions have also been held in residential homes. Old friendships are being renewed, as more people visit the centre. People are amazed at what has been achieved in a short time, and HRS has raised £135,000 for this project so far. Fundraising is an ongoing necessity, and events are held on an ongoing basis. There is great support for the Centre in the local community, and over forty businesses have offered help, in one form or another. Over 6500 images on screen evoke many memories, and expressions of delight.Further extensions are planned. New volunteers are welcome, and required to enable us to open the Heritage Centre full time during the summer season. We also need volunteers to help with fundraising, school liaison, events, and publicity. No experience or qualifications required, as full training and support will be given.